Portable Comfort - 3 in 1 - Cool, Circulate Air and Dehumidify a 350 - 550 Sq Ft Room with this Ultra Quiet Portable Air Conditioner on castors. Comes complete with easy-to-install Window Kit to exhaust Hot, Moist Air. Features Digital Time and Temp display and a full function Remote Control.Perfect for Mid-Size Bed Room or Family Room. This nylon recoil hose retains its self-coiling properties and stores itself when finished. Can be used with all air-powered equipment on the job site and in garages, plants and service stations. The swivel end fittings reduce hose twist. Bend restrictors reduce kinking and increase the life of the hose. 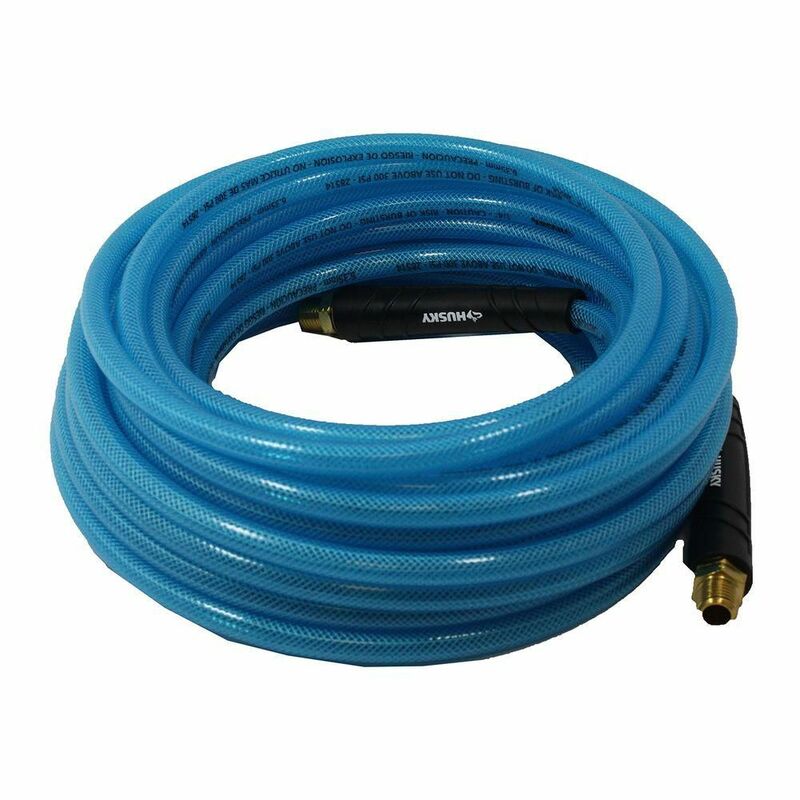 1/4 Inch x 100 Foot Polyurethane Air Hose The light weight of this polyurethane hose makes it ideal for applications where dragging a heavy hose is an issue like roofing. The smooth, non-marring finish also makes it ideal for indoor trim work where scratching surfaces could create damage. "Poly" hose has very good cold weather flexibility. Bend restrictors reduce kinking and increase the life of the hose. End fittings are field repairable, so with a knife and two wrenches a quick repair can be made to the hose if damaged. 300 psi Work Pressure. 100 feet long with 1/4 inch NPT end fittings. 4 Year Warranty.